Zimbabwe wheat production has risen by 275 percent owing to the successful command wheat programme, positioning output on course to reach the targeted 200 000 tonne mark. 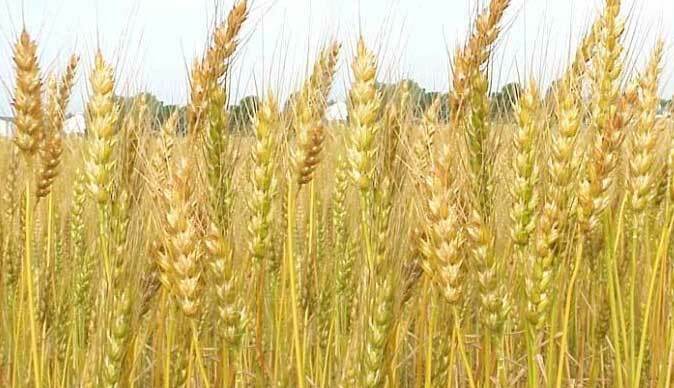 Wheat producers have done justice to the command agriculture programme after delivering 165 000 metric tonnes of wheat to the Grain Marketing Board (GMB) amid a target of 200 000 set under the command programme. Despite incessant rains which threatened to dampen the wheat harvest, farmers produced nearly three times more wheat than the 60 000 metric tonnes recorded in 2016. Deputy Minister of Lands, Agriculture and Rural Resettlement Cde Davis Marapira said government is pleased with the volumes that local farmers delivered to the GMB. In total, 1.441 million metric tonnes of grain have been delivered to the national silos with the bulk being 1 million tonnes of maize. Small grain deliveries rose to 85 481 000 tonnes while soya beans deliveries have reached 22 000 metric tonnes for the last cropping season. Soya bean production is expected to increase this season given support extended to farmers under both the command agriculture programme and the Presidential Inputs Scheme.